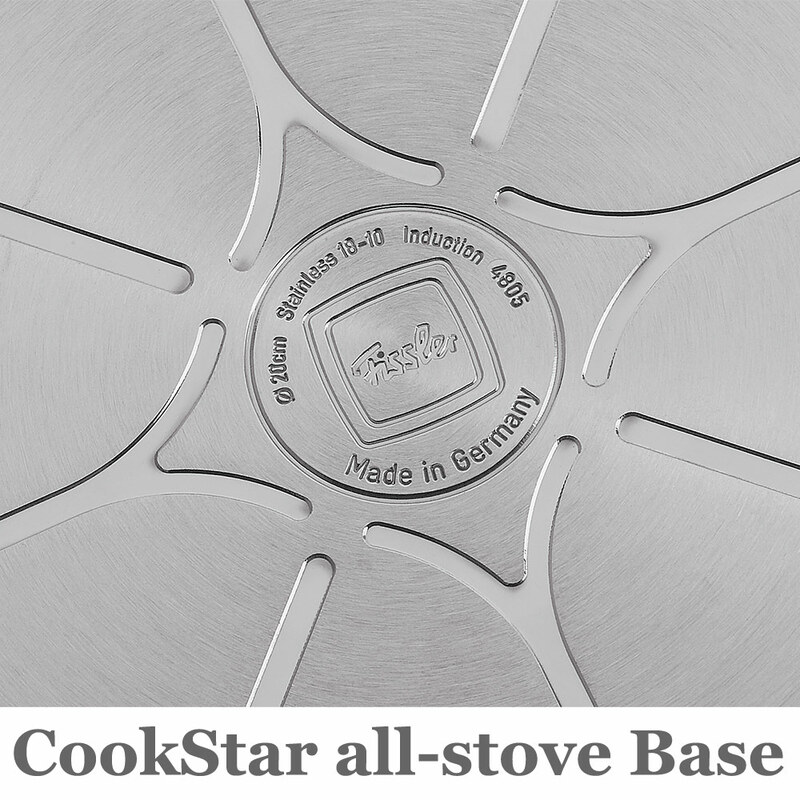 Made from high quality 18/10 stainless steel, our professional-grade Fissler Frypan features a beautiful satin finish, the look of rivets without the mess as well as true stay-cool handle. 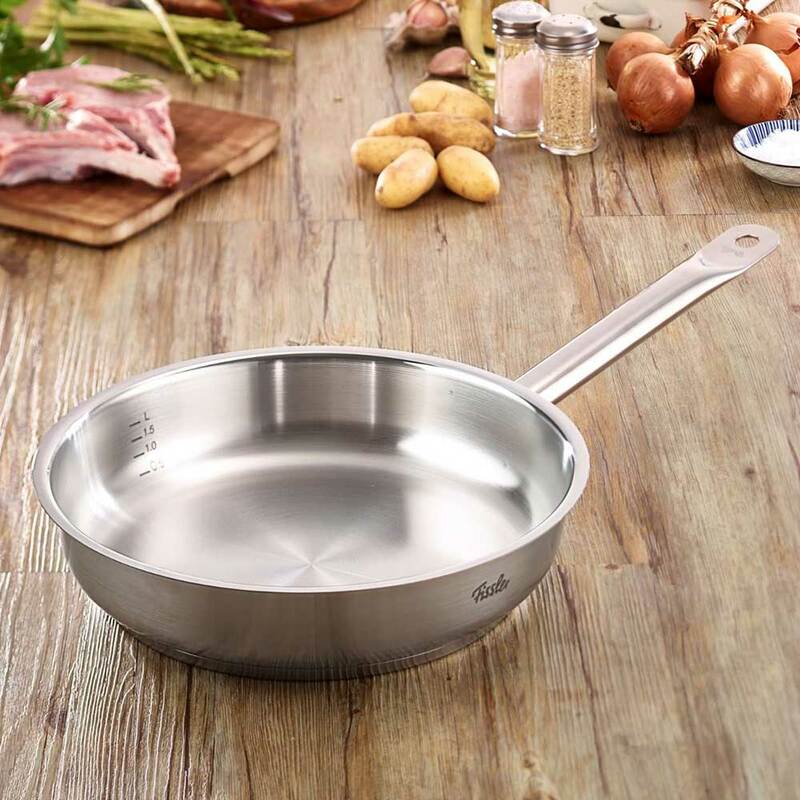 - The Fissler Original Pro Collection Frypan is equipped with a true stay-cool handle that is large for easy handling and fastened using high-strength welding, permitting a hygienic stainless steel interior free of rivets which collect food and particles. Now you can have the look of riveted handles without the mess. The long stay-cool handle is light and comfortable to hold. The handle is fixed to stay on for a lifetime. 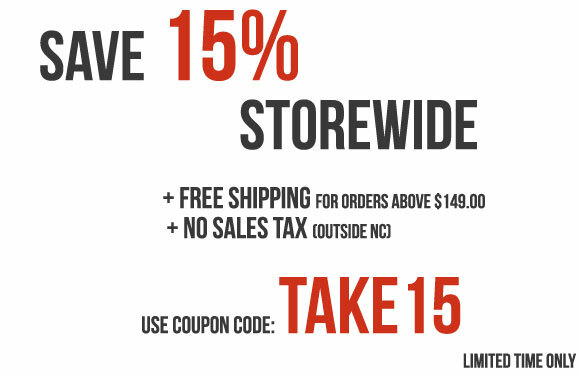 - The entire pan is fully oven-safe and dishwasher-safe, providing an added measure of versatility in the kitchen. 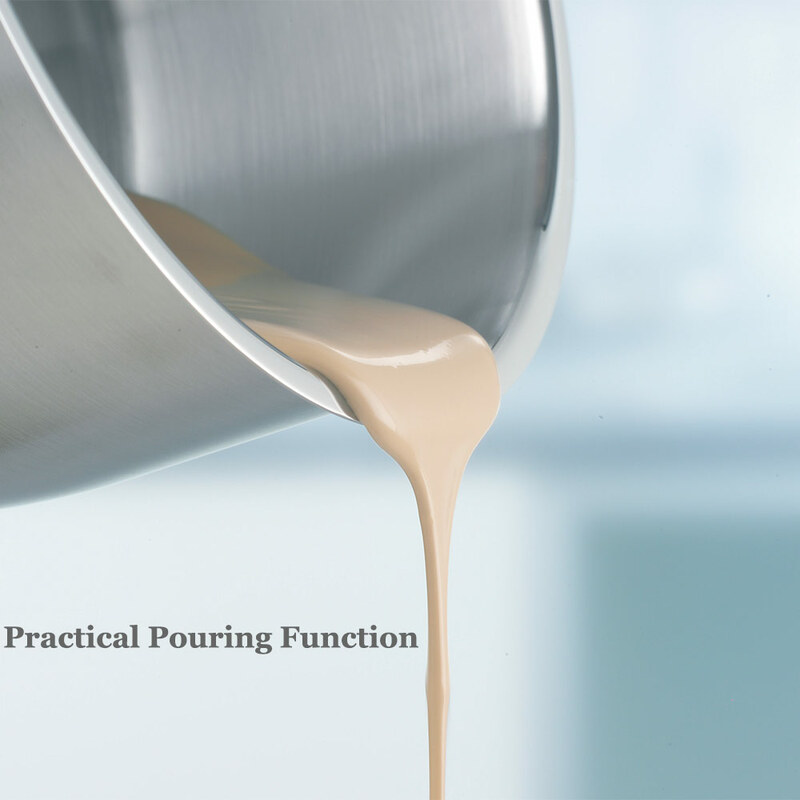 - The pouring rim on this Fissler Frypan allows for precise and drip-less pouring rim. No more messes on the countertop or sides of the pot. 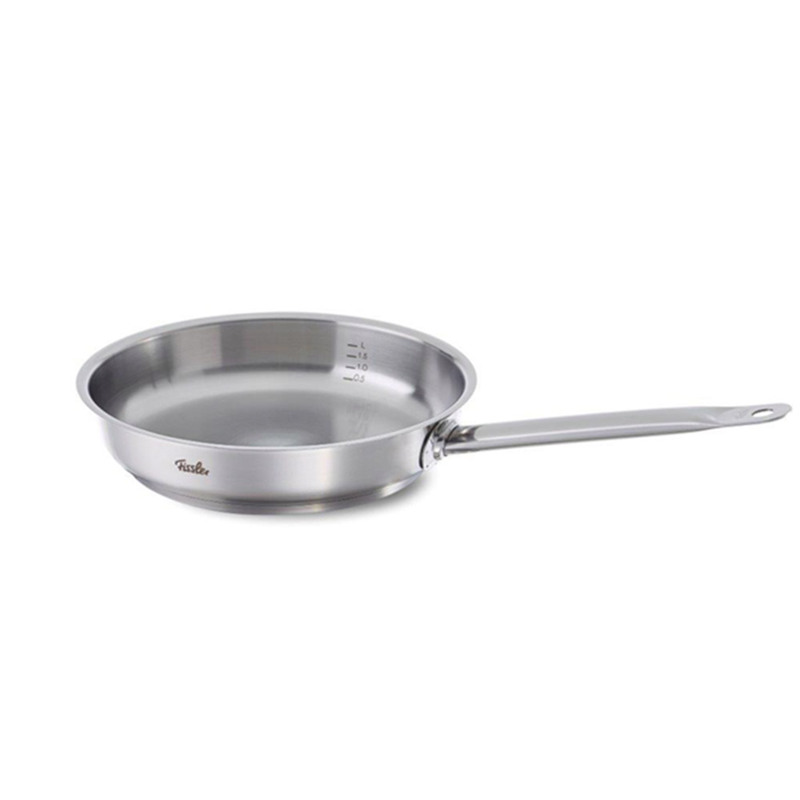 The pan even comes equipped with a practical measuring scale on the inside.